When you were little were you ever accused of “Telling Stories?” I had a vivid imagination and would spin some pretty wild… yet creative… tales. Although I was caught every time, and told never to tell tales, I believe I got it honest. There’s not much I remember about my granddaddy. He passed when I was very young. I was about 6. What I do remember was sitting on his bed with him while he told me stories and ate bananas. I also remember feeling the nubs on his hand where his fingers once were. One day I asked him how he lost his fingers. It seemed granddaddy worked as a guard at the prison. When I asked where his fingers went, he told me an amazing tale filled with action and adventure about a great prison escape and during the tremendous gunfight that ensued, his fingers were completely shot off!! Wow! What an incredible story. Later in life though, I began to spot “holes” in this story. At dinner one night with a family member, I asked her to tell me again the story of the great prison escape and how granddaddy lost his fingers in the gunfight. She looked at me as if I had three heads! “A great prison escape? Gunfight? Lord no! Your granddaddy shot off his own fingers while he was cleaning his gun!” Geez! My how we can spin some tales! It appears I did in fact get my creativity honestly. No matter what really happened to grandaddys fingers, I know the man loved a good story, he loved me and he loved a good banana. 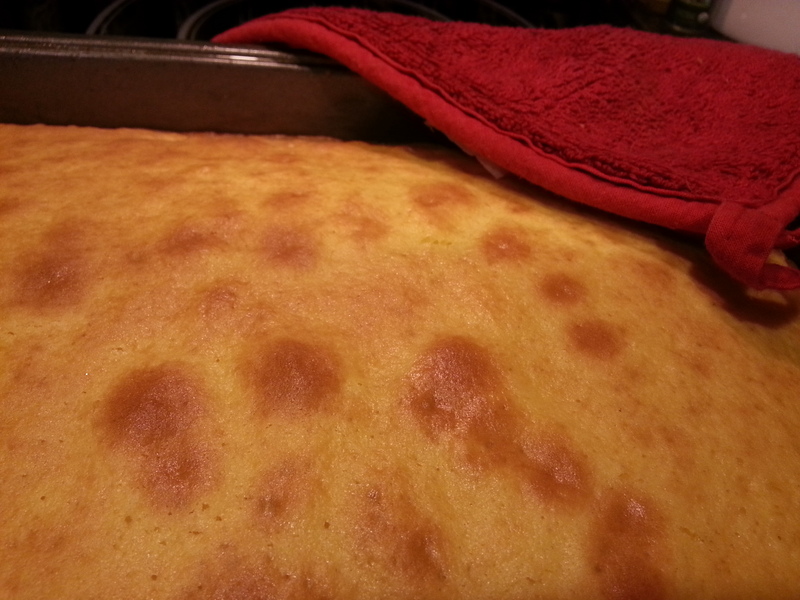 Cut parchment paper to fit the bottom of a 13×9 cake pan. Spray the pan with non-stick spray, then place the parchment paper in the pan and spray the paper. Place sliced bananas in a single layer in the bottom of the prepared pan. Sprinkle with brown sugar. In a large mixing bowl combine the flour, sugar, baking powder and salt, mixing well. Add buttermilk, vegetable oil, butter and vanilla to the flour mixture and beat with an electric mixer on medium to medium-high speed for 2 minutes, scraping sides of bowl as needed. Add the eggs and continue beating an additional 2 minutes. If you have any remaining banana slices, add these and stir. Add the can of crushed pineapple and stir. Pour batter into prepared pan. 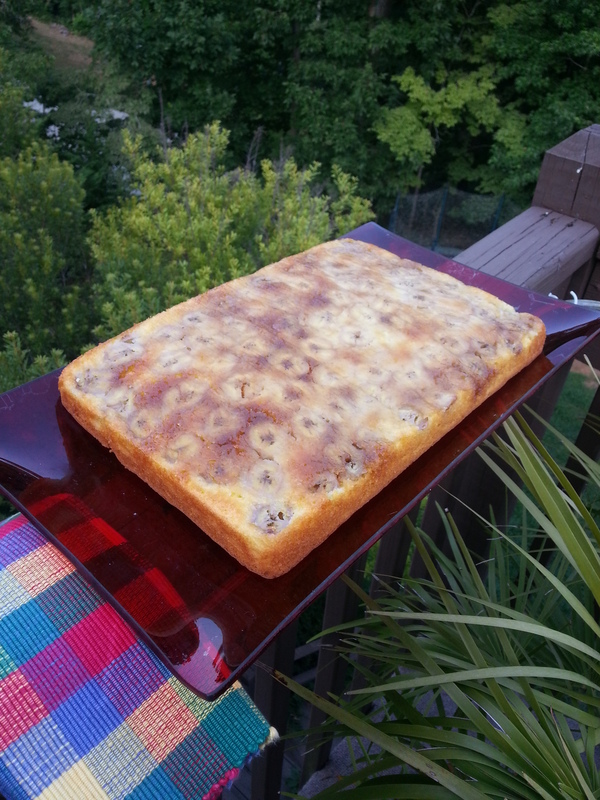 Bake at 350° for 20 to 25 minutes or until a wooden pick inserted near center of cake comes out clean, or until cake springs back when touched lightly in the center. Cool cake on wire racks for 15 minutes. Invert pan and remove the cake. Remove the parchment paper. Enjoy! Guilty of telling stories here too when I was a kid. What a fantastic idea. Thanks for sharing. Emma. 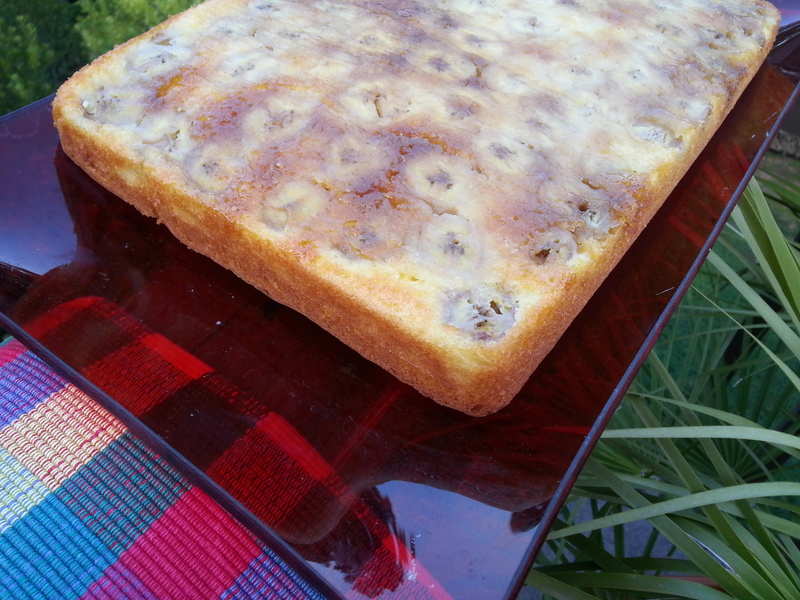 Oh my gosh, I love the idea of Pineapple Banana Upside Down Cake! !